Okay, it’s Friday. It’s been a week. Better week than last week. But full of work stress anyways. On the up side, one of my friends, who is also a co-worker, is now joining me for lunch and my lunch-time walking. This has really helped and I like the shared time. Our schedules don’t mesh often, but when they do, it works well. Health-wise, this has been a mixed week. Monday was AWFUL due to being a very, very hot day when I am not used to them. I got dehydrated, and cranky as all get out, and stressed out. Tuesday was still hot, but I dealt better with it, and Wednesday the weather started to change with Thursday being downright chilly. MMO gaming went okay (except on Monday I ‘bugged out’ of the game as I was feeling ready to ‘explode’ and it wasn’t fair to my friends). We did the usual things on the usual days. I really don’t have a lot to say this week as I am too freaking busy with work to do much other than work during the day. So I will leave it here and write more another time. Yes, this week I was tired, tired, tired. I just could not seem to recover from my over-doing-it on the weekend. See, last Friday Mhari calls me about an hour before time for me to normally leave work. And work was being a little over-demanding and looking like it was going to be keeping me late. But what Mhari said changed things. She’s mentioned this on her own blog, but what Mhari told me was that the washing machine had been overflowing in our garage for at least 2 hours and things were getting wet. I got away from work as soon as I could and headed home. It was a disaster. At least one stack of boxes had keeled over and Mhari was doing what she could to try and stave off things. But it had been too late for many things. The only reason we discovered it at all before I came home was a neighbor (RP) had called and said that water was running out from under our garage door. Well, I got to work… RP came over and helped. Mhari’s in no condition to be able to lift these heavy boxes of our crap, so she did what she could on the outskirts. Box after box was pulled out of the garage, getting the dry ones out to get to the wet ones. Some of the dry ones we moved to RP’s garage across the street. Others just got set aside. It would have been SO much easier if the wheels on our dolly were not flat and coming off the rims… we had to carry things one box at a time. We did what we could, which was only about 25% of what needed to be done before we ran out of daylight and RP and I were exhausted. I cleaned up and showered then took us out to dinner, paying for RP’s meal as part thanks for his help. Both Mhari and I slept troubled sleep as we were still worried. We had been unable to get to the worst flooded boxes. Saturday arrived and we did breakfast and morning errands, which included going to Home Depot, ordering a new washing machine to be delivered in a couple of weeks and got solid tires for the dolly as well as 20 boxes. Once home, with another neighbor’s guidance, I was able to change the tires on the dolly and RP came over and we got back to work. RP’s allergies caught up to him and he was unable to do as much as he was able to the day before. But having the dolly working made things easier. Box after box came out of the garage, many of them moved to RP’s garage and out of the way. Finally, we reached the bottom row… it was painful. Boxes of science fiction books, new age books, computer and technology books, nature books, gardening books and many magazines and comics had been effected. The comics, for the most part, were in ‘bags and boards’ and were not damaged. Only their boxes were and they were wiped off and moved to new, shorter, comic boxes. The boxes of art where set asside… we haven’t had the heart to look in them yet. Much of it should be okay as it was wrapped or otherwise protected in plastics or shrink-wrapped. But as seen with some of the technology books, that shrink-wrapping might also be it’s doom. Mhari lost a prized little collection of pulp sci-fi magazines from the 50’s. And some science fiction and fantasy books, some of which have never been reprinted. It hurt a lot. There were also photo albums and a cherished year book caught real thoroughly by the water. But the new age, computer, gardening and technology books took it the worst. Most of them a total write off, water logged and swollen, their pages too wet to even open the books without damaging the pages. Box worth after box worth was dug out, and sorted, and tossed in garbage bags, as our recycle bin and garbage bin filled swiftly to over flowing. RP’s recycle bin got filled to the brim with the remains of the wet boxes that we had to most often cut off from around their contents. It was horrible. But it could have been so much worse. There was no damage to the garage (it is all concrete), or the house. No one’s life was lost. And we DID get it all done and sorted. Half our garage is full of the saved boxes of stuff. The other half has garbage bags full of books that must be cataloged as lost and thrown out over the next few weeks in the recycling bin. Some might be salvageable, most will not be. But other than intensely sore muscles, no one was hurt and life is back to normal. But it sure wasn’t the way I would have wished to spend Easter Weekend. The rest of this week has been difficult. I’m not as young as I once was. And I overdid things in the operation during the weekend. I drained my energy reserves well past empty. I barely dragged myself to work during most of the week and only today, a week later, do I feel like I have my reserves of energy back. I’m not 100% recovered, but I’m feeling a great deal better. And life does go on. On the MMO side of the world, I don’t remember a whole lot. I know that we finished the Quarterfield Task Force Monday by going an hour late… and their was much rejoicing and 111 merits. The villain team on Wed is on a Strike Force still. But I couldn’t tell you more than that. I was sooo dang tired I barely made it through each of the nights. And then there was work that I had to do from home on the non-MMO nights that kept me up as badly. So I didn’t get the rest that I still feel I need. Last Friday due to the emergency I didn’t do Thrilling Adventures, so I have no idea if they did anything. Tonight we will continue playing and I hope that I am more awake for it all. Tomorrow is a Further Confusion 2010 meeting… the first official staff meeting for next year’s convention. I will be there, as will Mhari. I get to report on how close to full the dealer room is, as the other thing that happened last weekend is that I started opening the applications and processing. I got all 81 of the letters received at that point opened, and proccessed them all. Mhari did the confirmations for me during the week. We got 4 more during the week. That’s 85 out of a possible 105 (85 single-tables, 20 half-tables). Single-tables are nearly sold out, but there are 10 or more half-tables left. Of course, I go get more con-mail on Saturday before the meeting, so it could sell out then. I might also go do some pen’n’paper role-play gaming Saturday night… but I am rather disconnected from that now. It’s been too long. I really do want to see ‘the guys’ though and hang out with them and shoot the breeze. And praise War Witch for a issue well done and find out what parts of it to praise her for. As for book reviews, go back and look at the past week. I did some capsule reviews and a regular review to get sort of caught up in things. Well, better get to work, it’s piling up again. Thanks for reading! This is the latest ‘Honorverse’ novel from David Weber. It is set overlapping some of the events at the end of ‘At All Costs’ (which was Honor Harrington #11) and moving the over all story forward before the upcoming ‘Mission of Honor’. There will also be a ‘direct’ ‘Honorverse’ sequel to this, co-written by Eric Flint, called ‘Torch of Freedom’ (which I believe is the ‘Crown of Stars II’ that Weber in his Author’s note in the front of this book). While Honor Harrington is one of the characters in this novel, she is NOT the main character and we do not ‘see’ the events in this book from her point of view. This book is properly considered as a ‘direct’ sequel to ‘The Shadow of Saganami’ as it follows the exploits (for the most part) of Michelle Henke, and the events in the Talbott Cluster right at the forming of the new Star Empire of Manticore. Its a book of rather grand scale in much the same manner as all the books of the Honorverse stories. Lots of political maneuvering, skulduggery and space battles. Manpower, Inc, or more correctly, the Mesan Alignment is hard at work on their own agenda and manipulating people left and right and setting things up for MAJOR bad news… just not in this book. This book comes across VERY much as a ‘connector’ that, while telling some of it’s own story, seems more to fill in blanks and set stages for things to come. The biggest direct events that happen is this book are major confrontations with the Solarian League that could quite easily be the beginning of a major new war… exactly when the new Star Empire of Manticore can afford them least… and shows the opening maneuvers in the strike that must open the NEXT book. ARGH! This book does nothing to take the story that much further. It just gets you more into the heads of Michelle Henke, Aivars Terekhov, Abigail Hearns and others, than it really does anything to get us anyplace new or answer many of the questions we’ve had in the past few books… other than revealing some of the EVIL the Mesan Alignment is up to. They have NEW tech tricks up their sleeve that is even further advanced than what Manticore and Haven have been developing… even as Manticore scientists discover Apollo and it’s ramifications. While this is a Must read for those following Honor Harrington and the events in the Honorverse, it still is one of the lesser books in the body of work. But makes you cringe and NEED the NEXT Honor book in a BIG way… even more than we felt at the end of ‘At All Costs’. And the author’s note at the beginning of the book helps a lot to explain a little of things. You can even read the Author’s note and the first nine chapters of the book online! This one is a little different. It’s about Cinderella after her ‘happily ever after’ has been spoken. Her husband has been kidnapped, and it’s up to her, Snow White and Sleeping Beauty to rescue him. It’s an interesting take on both tying these stories together in a light-hearted manner, and asking the question of ‘what happens when the story is over’. It’s a good little book, and made me slightly interested in reading others in the long list of books by the author. But it also didn’t have much staying power in my memory as I can’t tell you much more than I wrote above about what happens in it. But it’s worth a read. This is apparently the first in a series, with the next one, called ‘The Mermaid’s Madness’ coming in October 2009. The third will be ‘Red Hood’s Revenge’ in 2010 and the fourth will be ‘Secret of the Snow Queen’ in 2011. 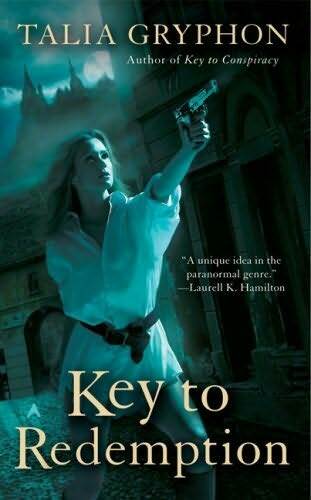 This is the third book in the ‘Key’ Series. Each of the books follow Marine and paranormal psychologist Gillian Key as she endeavors to battle the forces of Dracula (though often indirectly) in a world where the things that go bump in the night only came out of the shadows not many years before. In this book, Gillian has to deal with her on-going relationship to Master Vampire Aleksei Rachlav while also administering to the mental well being of the likes of Frankenstein’s ‘monster’, the phantom of the opera and others while dealing with a stalker, the vampire Jack the Ripper. This is easily the best book of this series so far. The prior book dealt heavily with Gillian’s military skills, this one dealers with her therapeutic ones… and took a number of twists and turns while dealing with some somewhat sensitive subjects in a VERY good way. I strongly recommend these books. Be warned, there is sexual content. This is one of Modesitt’s rare stand-alone books, not being a part of any of his serial work. It’s science fiction and follows the journey of a number of people to investigate an world-sized artifact that is hurtling through the depths of space. The book follows a Teacher, an Artist, a Spy, and a Pilot through the story. And each of these characters has different ways of perceiving the world around them and that is reflected in the manner in which Modesitt tells the story when telling it from their point of view. The writing styles actually changes depending on the character you are reading about at the time. 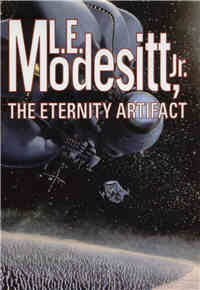 And the story itself is a good moral play, as is the ‘universe’ that Modesitt sets the story in. I strongly recommend this book and I might need to read it again in a couple years, as it is that enjoyable to read.